Empire brings the luxury of warmth to your favorite outdoor patio area, with the stunning elegance of the OLP42FP72S Loft outdoor fireplace. This 42-inch propane gas fireplace features vent free technology that helps it blend seamlessly into any outdoor decor. The millivolt electronic ignition system introduces effortless operation and promises a reliable spark every time. Enjoy the convenience of remote control operation from the comfort of your seat. 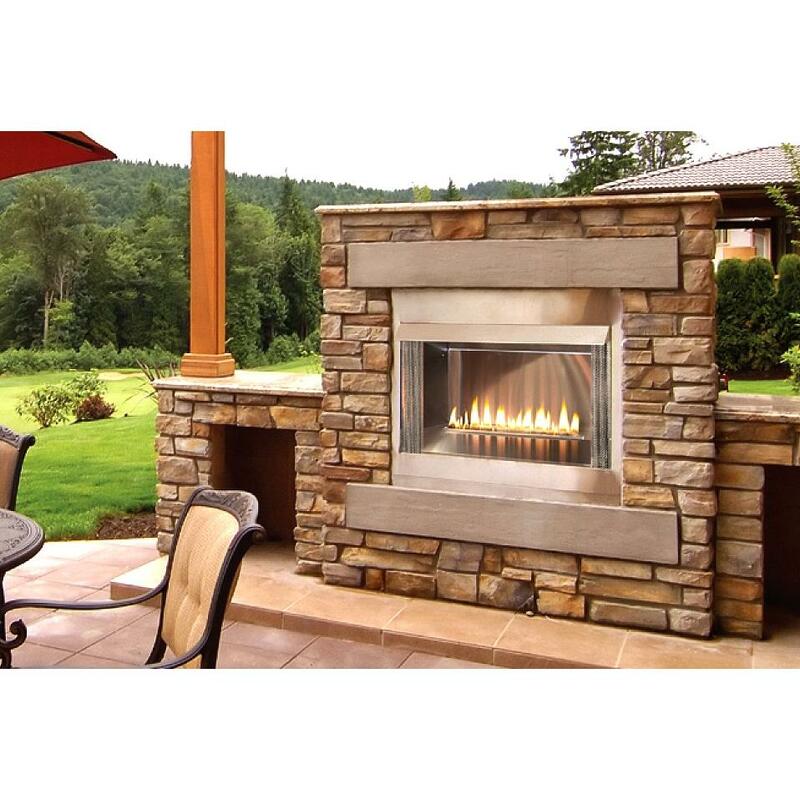 This outdoor fireplace is UL Listed and CSA certified, adding to its unbeatable quality. This fireplace presents an attractive way to enjoy extended seasonal outdoor living. This unit was designed to be built in to your custom outdoor masonry, and includes all the essential parts to make installation easy. Each Empire Loft Fireplace is proudly made in the USA!